So Tuesday was Election Day, right? That makes this post just two days late! I might have a career as a political cartoonist yet. Arie, you would be the worst politician ever. You're too honest and kind. In order to be a politician, those 2 traits must be lacking. What you should have been is a doctor. Just so you wouldn't be the black sheep. HA! Go for the hill! I'll vote for you Arie! 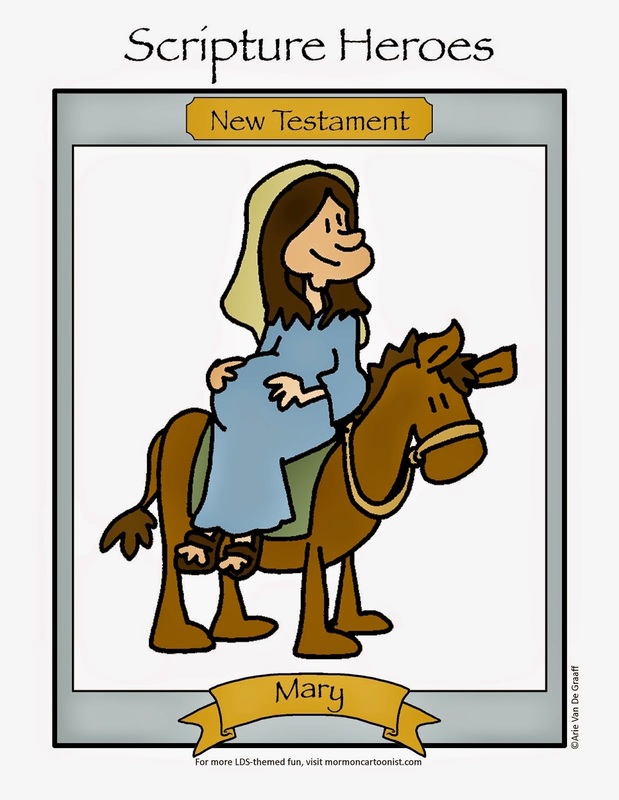 Subtitle: "What Sarah Palin would have been like as a Mormon teenager." 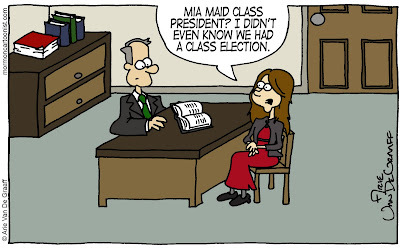 Eric, I'm not sure that Sarah Palin would have been called to be Mia Maid class president. "Barracuda" would have probably been in too many fights in Young Women's basketball to be considered. They say that you should never talk politics or religion in polite company. This might be my most controversial strip ever!